For lodging and meals for the conference, please click here to complete the Breezy Point Lodging Form and return it by April 23rd, 2019 per the instructions. 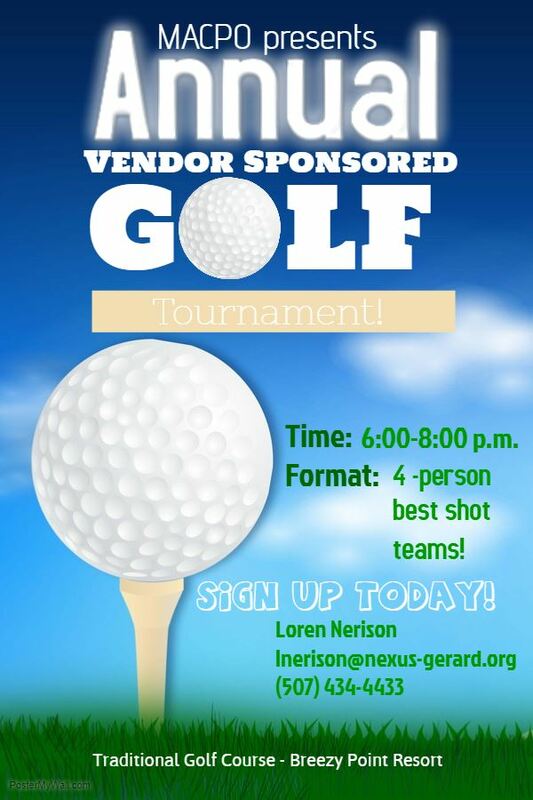 Vendor sponsored golf tournament will be held on Wednesday, May 15th, 2019. Vendors are working hard to put together exciting events at different holes throughout the golf course. Get your team ready and bring your best game! 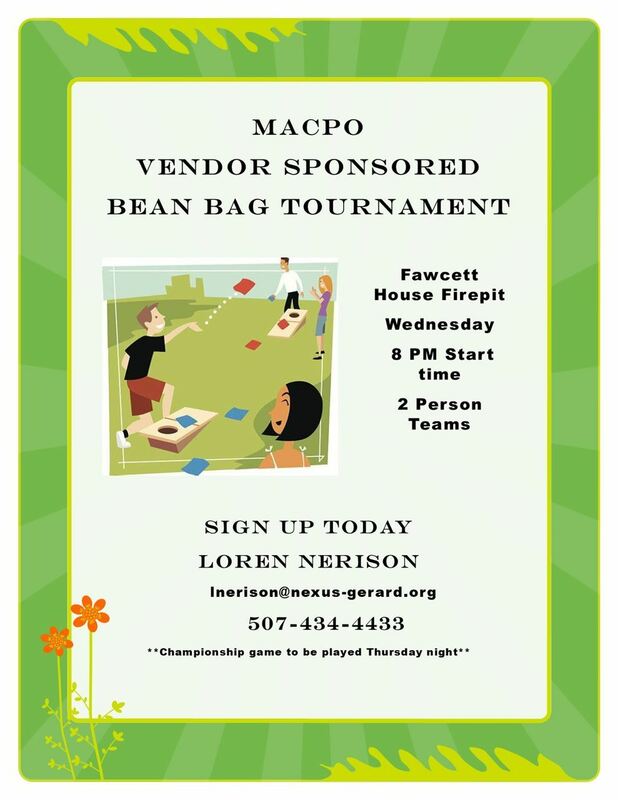 We will also have a bean bag tournament on Wednesday starting at 8pm. On Thursday, May 16th, 2019 please join us for a evening boat ride on the Breezy Belle Boat - Set sail around 7:45 pm and return around 9:15 pm. Great way to socialize and enjoy beautiful scenery. We welcome you all to participate in our evening activities! and submit as instructed on the form to Breezy Point Staff. and all the perks of each! Please send vendor related questions to vendors@macpo.net.